Padding can be applied to every Frame. Padding sits around the inside of a frame. By default (unless otherwise changed by your designer in CSS), MOBLE CMS automatically creates padding width variants for you. There are 5 widths that are available that can be applied to the inside of every Frame, either on the Top, Bottom, Left or Right. 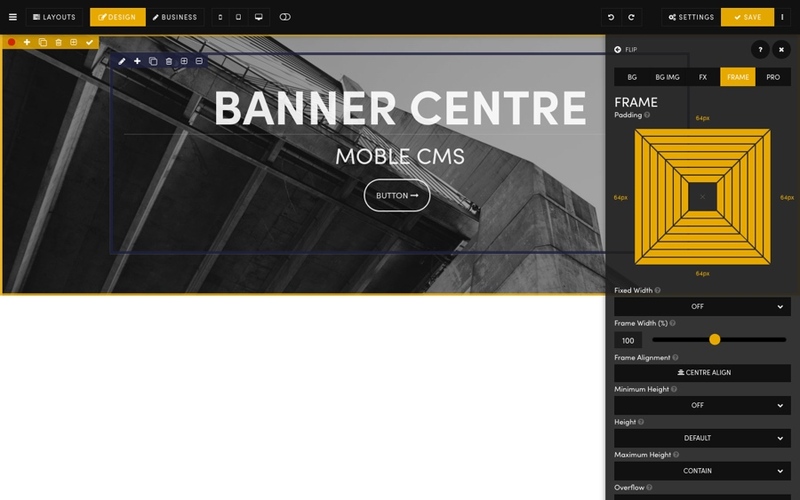 'Fixed Width' can set any frame to 1280px, to make reading content a little easier on the eye. 'Minimum Height' allows you to control the minimum height of any frame. 'Content Overflow' allows you to control the behaviour of content that overflows a frame. 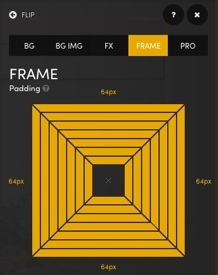 'Frame Height' allows you to fix the height that your frame will display. If no Height is selected, the height adjusts to suit the amount of content. 'Frame Alignment' can be useful to align all of the content that sits within in the frame.